Ynys Môn Assembly Member Rhun ap Iorwerth held a Public Meeting at Kingsland Community Centre last Monday, and over 50 members of the public attended. The idea was to open the floor for discussion about matters that concerned locals. “We had a lively discussion about a variety of concerns including travellers’ sites, health and the NHS and lorries. 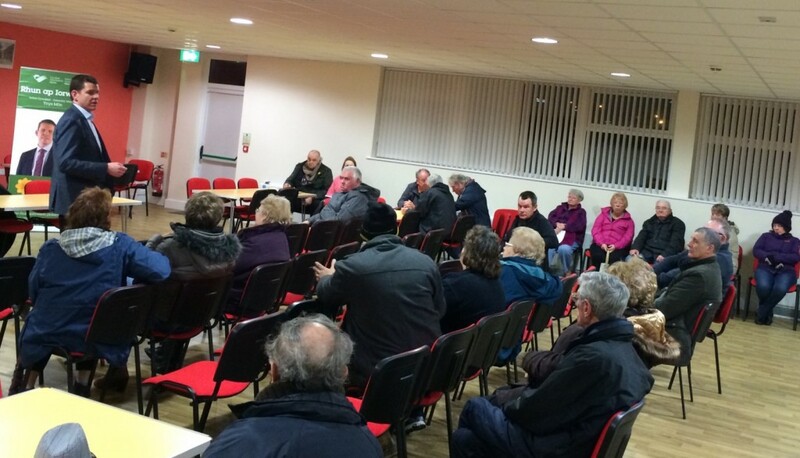 “I will continue to hold Public Meetings in other areas throughout Ynys Mon in future. They give local residents a chance to voice their concerns and discuss opinions. I will be following these matters up either at the National Assembly for Wales or with Ynys Môn Council. “It was not a political meeting, and the variety of Councillors present underlined that we all want to work for the same goal – a better Holyhead.